After market foot pegs probably one of the most common upgrades that riders like to make to their bikes, myself included. I like a big platform, I like as much grip as possible when I'm riding so if you fall into that boat well you're gonna really like this article. So let’s take a closer look at the top 5 best dirt bike foot pegs and most popular foot pegs on the market. Two things to keep in mind as you reading this. One – the first section will summarize each of the foot pegs, the second section will be a more in depth analysis. So if you know which foot peg you’re interested in, feel free to jump into that section for the details. Two, Keep in mind this is just five of the many foot pegs that are offered so if you have a foot peg that you don't see on this list, I would love to hear your thoughts about it so please comment below and let us know what you liked about it and what you don't like about it. That's going to help other riders out and same goes for you riders out there that have one of the foot pegs in my list, leave a comment let us know what do you like so much about it. Are Dirt Bike Foot Pegs Universal? Unfortunately there a very few dirt bike foot pegs on the market that are interchangeable, most of them are brand/model specific, although sometimes you can find a pair that can be swapped accross different bikes and models but this is usually by chance rather than design. Be sure to look for the foot pegs for your specific bike and model. How to Sharpen Dirt Bike Foot Pegs? When it comes to sharpening your foot peg teeth, there are a few things to consider. Obviously sharper teeth will give you much greater boot grip, but sharper teeth can also wear down the soles of your boots really quickly and also gives rise to possible injuries if they were to make contact with your or someone else's body. The simplest way to sharpen the teeth of your foot pegs is to use a triangle file to sharpen the sides of the teeth until the reach a nice point at the top. You might consider rounding the points slightly as you don't want them to be too sharp. A triangle file works well, but you can also use a dremel or a sand paper disc on a high speed sanding machine if you have these tools available. How to Change/Install Dirt Bike Foot Pegs? 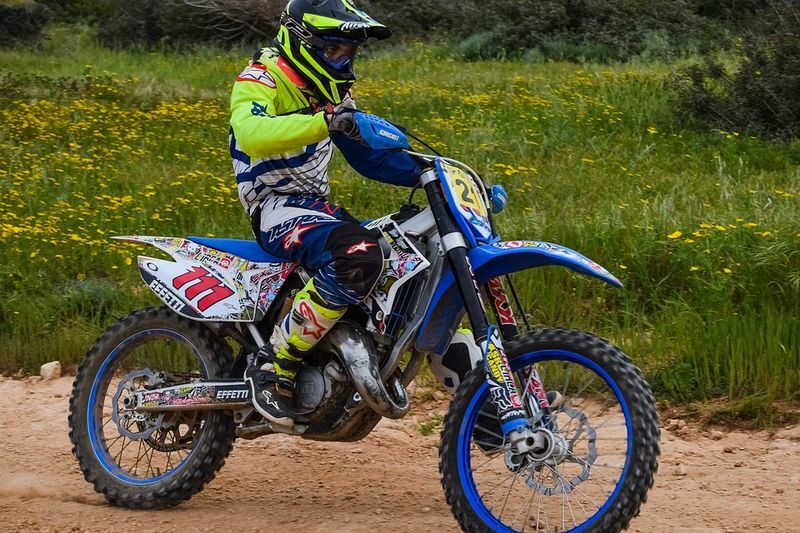 You have five components: 1.Collar pin 2.Washer 3.Pin 4.Spring 5.Foot Peg First remove the collar pin and the washer, then wiggle the foot peg will pulling our the pin that holds the foot peg in place (The spring will come out at the same time). At this point, it's a good idea to clean the reusable parts. To install the new foot peg, first place the spring onto the foot peg, pop the peg into the mounting bracket, the spring should also slide into the bracket. Next slide the pin through the mounting bracket and the foot peg, slide the washer onto the end of the pin and finally pop the new collar pin through the foot peg pin. How to Lower Foot Pegs On Dirt Bike? There's two ways to do this. I highly suggest taking the second alternative. The first is a more technical hands on approach that requires modification to your existing foot pegs. To do this, you would need to use an ultra thin cutting disc, knock the lug of the underside of the peg and putting that on the higherside, however the springs will then be out of place and will need to be swapped from left to right to compensate. You will then need to use the mounting pin to line up the holes as you will need to have the peg welded back together. This will result in a drop of nearly 15mm downwards but also a small shift backwards of about 5mm. The second method, the far simpler method is to purchase a new set of foot pegs that offer this adjustability feature. I would highly recommend the Fast Way pegs as you will read about below in the review. The first foot peg that is the billet race foot peg coming from tusk. I'm just gonna go out right now and say that when it comes to bang for your buck, this is one of the best values and foot pegs that is on the market. These are made from 6061 t6 aluminum so they're very lightweight and they're very strong. They also have an anodized finish to them that's not going to wear out which keeps the peg looking good. What I really like is a big platform, so front to back you’re 2.25 inches and then the length is going to be 3.25 inches. So it’s a nice big platform to stand on. The teeth go all the way around the outside. I've used this foot peg a lot, and it has a lot of grip, but what I really like as well is that these teeth will slowly wear out over time. That's what foot pegs do, but these are replaceable so you can actually get a tooth replacement kit for these foot pegs when those do start to wear out so you can just put some new ones in, instead of buying a whole new foot peg. Fast way is a great company out of Idaho, they make a lot of really good foot pegs. If you're looking for a foot peg that is absolutely bomb-proof, this will be one that I would say you should go with because these are made from stainless steel, although this does make them a little bit heavier. When it comes to durability, this is going to be hard to beat. With the EVO there are some cool features I want to highlight. First the very large platform just like with Tusk foot peg you have 2.25 inches front to back but the length is 3.5 inches, so even larger than the pegs from Tusk. What's cool about these is that you have three different points of adjustability. You can adjust the traction - so what I mean by that is the foot peg right out of the package comes with no cleats attached, but they have included two sets of cleats for you. One that are 10mm and the other that's 12mm. So you can actually put the cleats in and put the different heights where you want them so it just allows you to adjust where that traction is. The other point of adjustability is the camber, so you can actually have these tilted up just a little bit to help you kind of squeeze the bike better. The third point is that for some bikes you can actually adjust the height, so depending on the bike that you have, you're going to have a little kit that comes included, so you can actually lower these 8 to 10 millimeters. For taller riders that would be a great advantage. These have a very unique design, and what's so unique is that they have a center point where this foot peg actually pivots front to back to allow this to work with the riders ankle. So as your ankle is flexing front to back, the pivot is working with you and the reason that they designed it to do that is that way you just have a good contact point consistently with the foot peg that's going to give you more control, more grip, and also more comfort. So if you’re a rider that feels like there is some strain happening to the ankles, this set of foot pegs would be a really good pick to try out. These are made from steel, so very good and very durable construction. You're going to see that the teeth are multi-directional, so they did that just to optimize the grip at the bottom the boot. One feature that I really like with these is the lifetime warranty. So when it comes to durability and that peace of mind you're going to get with Pivot Pegz foot pegs. These are another great foot peg coming from Fast WAY. So just like we saw with the EVO 4, you're going to get the same adjustability with the cleats, the height, and also the camber. But two big standout features that really make these unique is one; 2024 aluminum which is a different construction than the EVO 4 which makes them very lightweight. They're actually 0.85 pounds per set. As far as front to back they're gonna be the same as with the EVO 4, so 2.25 inches and a little bit shorter though, they're going to be just over three inches long. The big feature here you're going to notice is that they have the ankle saver technology. They have this extension that comes off the back that is there just to give a little bit of support for the rider’s ankle. So let's say you over jump, or under-jump and case something really hard, it's just gonna give a little bit of added support. I know a common concern that riders get with these is if it is going to interfere? Is it annoying? For me personally, I can tell you that you don't even realize that this ankle saver is there until you actually need it, so it's a really cool design and very unique feature coming from the Air EXT foot peg by fast way. These are made from aerospace grade titanium which makes them very strong and also very lightweight. They come in at just 0.7 pounds per set which makes for some the lightest foot pegs in the best dirt bike foot peg spotlight. What I like too is that they are welded by hand and they are a really cool looking foot peg. These are 2.4 inches front to back, making them be widest peg in my selection and then there's gonna be a little bit over 3 inches long. The one drawback to these is that they are pricey, I'll admit that, but I've used these personally and I will say that these give the most grip of any foot peg that I have ever used. So if that's what you are looking for this would definitely be a foot peg that I would consider. They have 30 teeth on there and they are very sharp, what I like too is that I've put a lot of time on these foot pegs and they stay sharp for a very long time. If you want to you could actually take a file and then just sharpen those right back up if they do start to wear out a little bit. The Billet Race Foot Peg from Tusk is without a doubt one of my favorite aftermarket parts for any motorcycle. Upgrading to an oversized foot peg is exactly what you're getting here with these Billet Race Foot Pegs from Tusk. The width on these is 2.25 inches and the length is going to be 3.25 inches, so they're gonna be much bigger than most of your stock foot pegs that are out there. Now why would you want a bigger foot peg is to give you a bigger platform, which is going to offer a lot more grip. 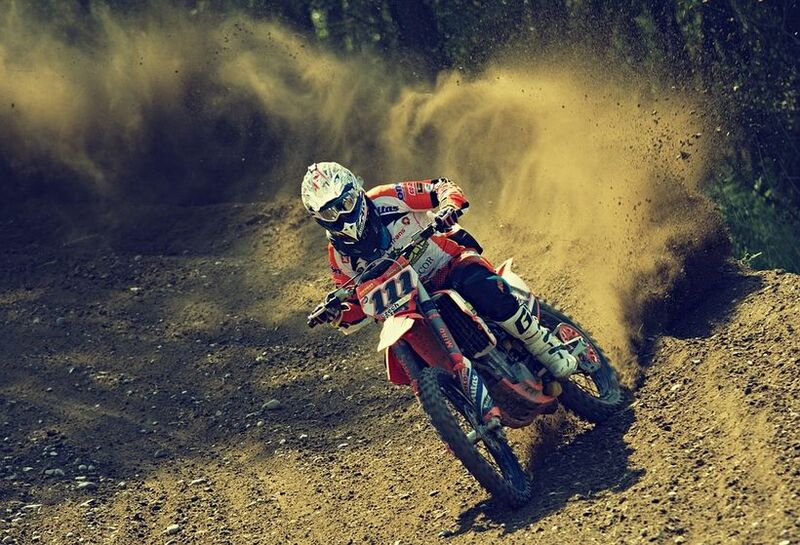 The more control you have over the bike, the more confident you're gonna be as a rider. These foot pegs are CNC machine from 6061 t6 aluminum. What's nice about it, is it's very very lightweight but also very strong. In the center are a lot of cutouts. That's really important when it comes to a foot peg that's gonna help it be really good at self-cleaning. So if you do ride in muddy conditions you're not gonna get a lot of mud pack inside there. Now the teeth are actually gonna be made from stainless steel and what's great about the teeth is not only do they give a really good grip but they're also replaceable, so over time if they start to wear out and start to round off a little bit, you can actually just replace the teeth. Now one thing you do want to keep in mind is that if you are replacing the teeth, you're going to need to pick up two kits if you're gonna replace all the teeth on both foot pegs but if you want to do just one foot peg, one kits gonna have enough teeth to get that fully replaced. When it comes to mounting, it’s very simple to do. Literally replace your stock foot peg and mount the exact same way. So again, an awesome product with an oversized bigger platform to give lots of grip, and in my opinion a lot more confidence. Remember that foot pegs are machine specific so when you're picking yours up you want to make sure you enter the make and the model of the year of your bike and you will be good to go. Now I don't know about you, but for me on any motorcycle that I have, one of my favorite aftermarket upgrades is going to an oversized foot peg. I just like as much grip as I can get on the bike as possible. 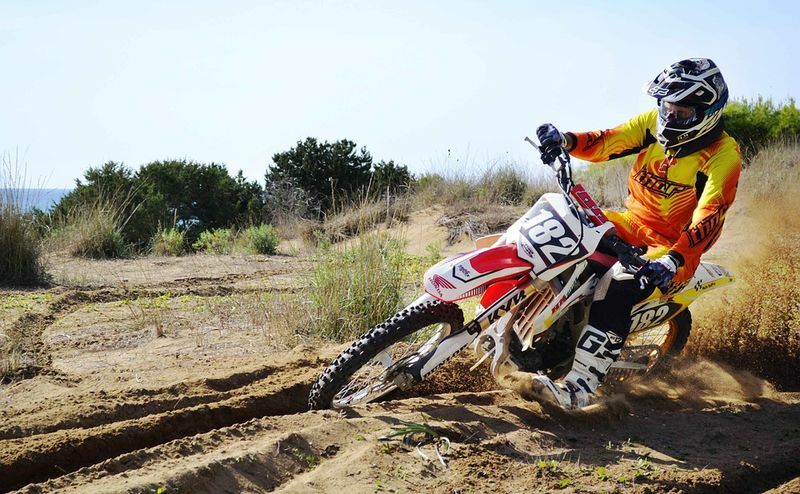 I like to have that planted feel, so if that's what you're looking for an oversized foot peg is going to get you there. Fast Way have a reputation for making some of the best in the business. What's cool about the EVO 4 foot pegs is, first of all these things are massive, so they've got a very large platform. They're actually 2.25 inches wide and they're 3.5 inches long. The big standout feature with these is going to be how much adjustability that you have. Before we get into that too much, first thing I want to talk about are the cleats. Now what's cool about these is you're actually gonna get two baggies with this product and bag is gonna have different length cleats. You're gonna get a 10mm and a 12mm, so depending on where you want the height of the cleat and how much grip you want on your boots, you have that adjustability. So you can kind of tinker with it and figure out what combination works best for you, you just want to make sure that before you install these, you use the Loctite that is included with the pegs. Now aside from the cleats and having two different lengths, there's two more adjustments that can be made with these foot pegs. The first one is going to be the height. So what's really cool that Fast Way does is that allows you to adjust the height of the foot peg. So you're gonna have a standard position and for most bikes you're gonna be able to have it lowered 8 to 10mm. The way you do it is really simple. You will have a collar that comes included with the pegs, if you have the collar on the bottom that's gonna put your foot peg in a standard position. But if you were to take that collar and reverse the orientation and have it on top, that's gonna drop the foot pegs again 8 to 10 millimeters. 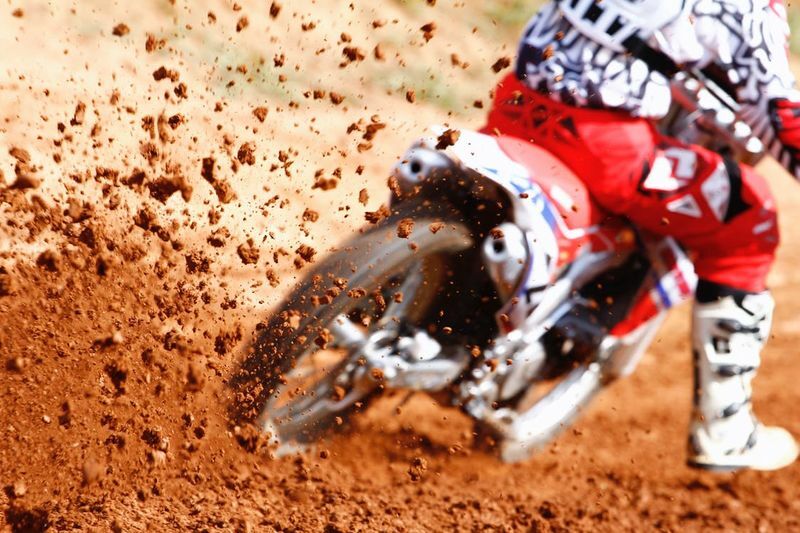 If you're a taller rider, that can be really beneficial having the foot peg sit down a little bit lower. The other adjustment is with the camber. Now when I say camber, what I'm actually talking about is the tilt of the foot peg. The way you adjust that is also really simple. You're gonna get what Fast Way call their "fit kit", that comes included. At the base of the foot peg you're gonna have a bolt system, but all that does, is allow you to adjust the foot peg when it is completely resting against the bike, you're just gonna change the tilt or the camber of the foot peg, so you can actually have the peg coming up a little bit. Now the reason you would want to do that, well, for some riders it's just a it's a comfort thing and has to do with the anatomy of your body, which might feel a little bit more comfortable to have that camber. Also what I hear is that having that added tilt actually will help you squeeze the bike better. So if you're looking for better riding technique and more control of the bike you want to be able to squeeze the bike. so if your foot pegs are tilted up just a little bit it can actually help with that. The last thing I want to talk about are some durability factors. If you're worried about these foot pegs not being durable, well, take that worry and throw it out the window. These are made from stainless steel, so pretty much built to endure anything that you can throw at these. And that wraps it up for the foot pegs coming from fast way. These are another great product if you're in the market for an oversize aftermarket foot peg. These are definitely a pair you should check out. The unique feature about these is their pivoting design. These are popular for dirt bikes but also for a lot of ATV bikes as well. So with the Pivot Pegz, first let's talk about construction. They're made from heat treated stainless steel. So these things are meant to take an absolute beating. They also have a lifetime warranty. On the top of the pegs you can see a lot of cutout, so that's gonna help prevent mud from packing in. I'm also a big fan of the cleat design. The teeth on these are actually multi-directional, so they're not just straight up and down, and they've done that to just help optimize the amount of grip that you get with the riders boot. The other feature is just the size of these. I'm a big fan of aftermarket foot pegs or oversized foot pegs. I like having a bigger platform, a more planted feel on the bike. These are very long, but also the width, probably the biggest foot pegs that I've seen - they're 60mm or 2.36 inches wide, so just a nice big platform for the rider. Now with that pivoting design, this is really what makes these stand out and makes them very unique. These will pivot forwards and backwards, I could actually turn it with my hand, now it's not a ton of motion you're gonna get - about 5 millimeters of pivoting action front and back, but what it does is when you're working hard on the bike, we all know that our ankles are constantly flexing back and forward to try and work with the bike, our foot pegs are always staying flat, so what these are doing is they're working with you, so as your ankles are flexing, the peg is rotating, so it just helps keep a good contact with the foot peg. They say it helps with grip as well as comfort, and control. So kind of three elements that you're getting with that pivoting design, and I know a lot riders talked about it when they first put these on. You don't even realize that this ankle saver is there, until you actually need it. Fast Way is a company that is known for making very high-quality aftermarket parts and accessories and they make a lot of cool foot pegs. 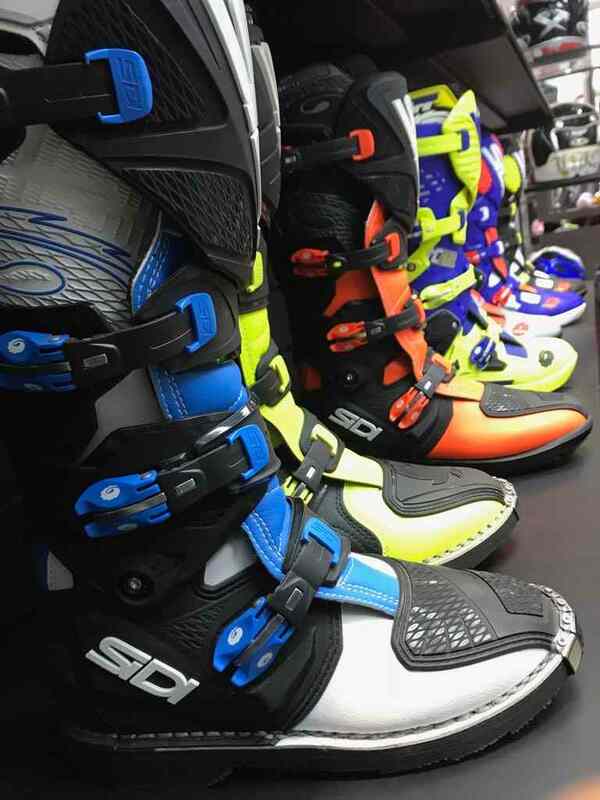 What I like about them is that they're all adjustable, you can adjust the height, the traction, and the camber of all the foot pegs and obviously with the Air EXT, the big stand-up feature that everyone's gonna be looking at is gonna be their ankle saver technology. Let's talk about construction, these are made from CNC machine 2024 billet aluminum - so a very high quality aluminum, also very very lightweight. The set total weighs less than a pound, so really nice, also bigger platform. With these, front to back they're 2.25 inches and then the width is gonna be 3.25 inches, so it's gonna be bigger than just about all your stock foot pegs that are on the market. I mentioned earlier they have a lot of adjustability, which is something that Fast Way are known for. First adjustability features comes down to traction. So with each set of foot pegs, you also get a pair of cleats. The cleats are not going to come installed, rather they're going to give you two sets and if you want to, you can install them yourself. You're gonna have a set of 12mm cleats and 10mm. So what this allows you to do is adjust the traction and put it where you want it. So for example you could adjust the height of the cleats or teeth in the front,back and sides of the pegs to different heights. You could do the 10mm on the inside and do the 12mm on the outside if you want a little more grip on the outside of the boot. It's totally just rider preference but it's cool that they give you that ability. The other adjustability feature is gonna be with height. So what they actually have is when you go to install these you're gonna have these pins and they're gonna have these collars, and with this you have the option to either have it the collar up or you can have the collar facing down when you install the foot peg. With the collar on top, that's gonna put it in pretty much a standard position, it's gonna be a little bit different per bike. With the collar down, that will actually lower the foot peg about 8 to 10 millimeters. So for taller riders that's a big bonus. The third adjustability feature that you have is with the camber, and by camber I mean the tilt of the foot peg. 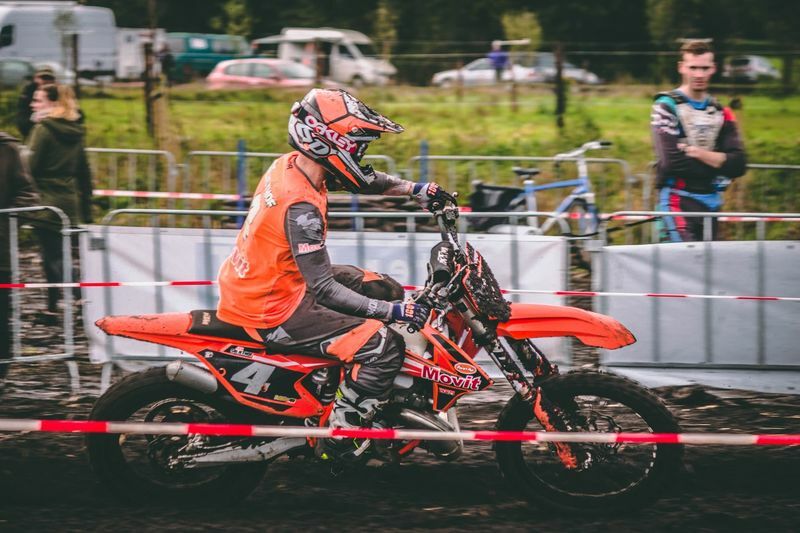 Typically when you have a foot peg on the bike it's gonna be completely level with the ground, but with these you can have it to where it actually tilts up just a little bit. The reason that riders like that is it gives them a little bit better feeling of being able to grip the bike and squeeze with their knees. Again that's rider preference, but you do have that option. To adjust that is really simple. They have what they call their "fit kit" and this comes included with every set of foot pegs. It will have a bolt that screws into the bottom of the foot peg and this bolt is really what's gonna be interfacing and touching the frame with a bike and you're also gonna see you have these washers so depending on how many washes you put on here, that will adjust the tilt or the camber of the foot peg. So you can play with that and kind of see what setting you think is best. So again you can have it just to a base standard setting that you're gonna have with any foot peg or again you can have it tilt up just a little bit, so really cool that Fast Way is giving all that adjustability. The last feature that to mention for this really cool and very unique foot peg is obviously going to be this ankle saver technology. With the ankle saver, you can see it's just an extension that comes off the back of the foot peg and it is tilted down just a little bit. The whole reason it's there is just like the name says to help save your ankles. So if you were to overshoot or overjump it's just going to give you some added support to the back so you're not hinging so much in the ankle joint you're just gonna take away a lot of that load. Now I know a lot of riders ask the question well, what happens if you're trying to go through a big set of whoops or you're going through a deeper rut do these get in the way? Do you notice it? Well, I can tell you that you honestly don't even really notice that this is here until you need it. If I'm at a track and I'm riding, I really don't even know it's there unless there's a big set of whoops and I'm gonna start pounding through those and I'm really leaning off the back of the bike that's when I notice it because I can get a little bit more leverage and just a little bit more support in the back of the boot, so I'm a big fan of it. 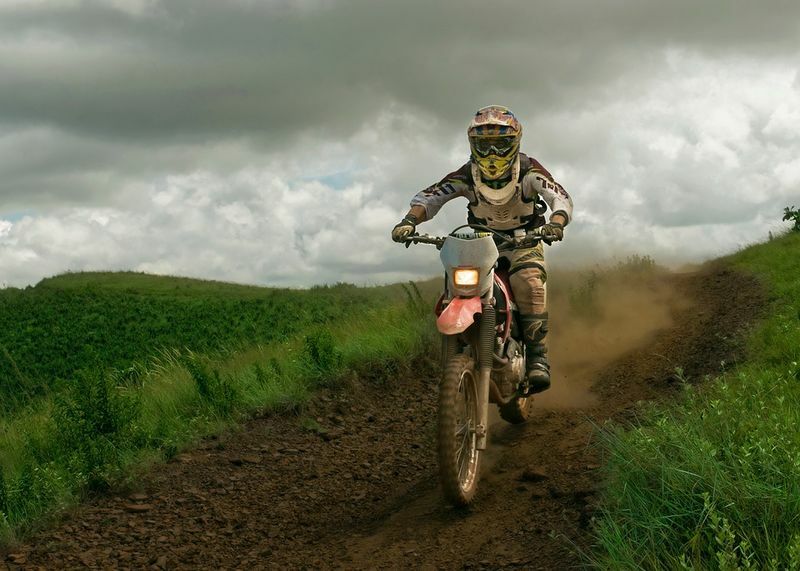 Or if you're an off-road rider you like to go out and hit some big hills and rocks or any sort of that riding, I think it really does come in handy and yes on those bigger landings if you overshoot or undershoot something is going to help take away that impact and give some more support to the ankle. 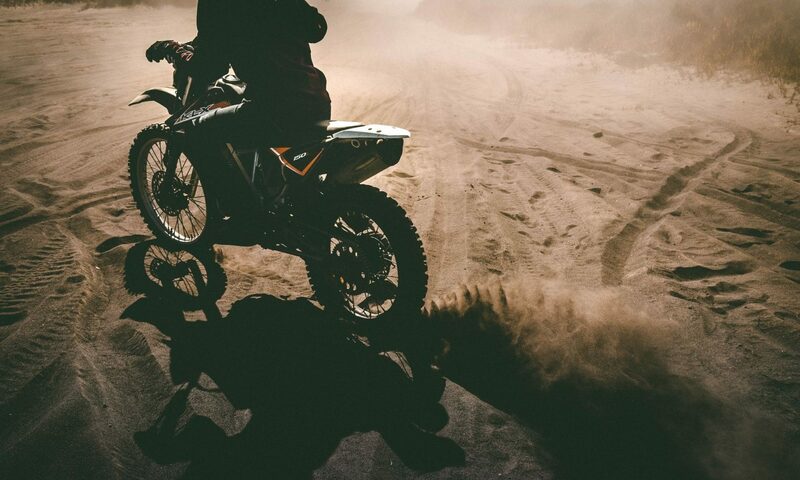 The last thing because I know this is a concern that a lot of riders talk about is well what happens in a rut if you know it's a real deep rut is it gonna drag? I personally I never even notice it. I never had any issues with the back of this dragging in or getting in the way, honestly like I said you don't even know it's there but in those times when you need it, it's there and that's why people like these foot pegs so much. So overall, a really cool design, good-looking foot peg, very lightweight and again if you're looking for some added support for your ankles, well, I would definitely put these at the top of your list. These do come in different colorways like silver and also a black, please keep in mind that they are machine specific! So when you are making a purchase, just make sure you get the right model to match your bike. When I ride a motorcycle I like to feel like I'm stuck to the bike as much as possible. I like to have a lot of traction and a lot of grip on my feet and that's why I always upgrade to an oversized aftermarket foot peg. There's a lot of different foot pegs that are out there. These Pro Pegs are made out of titanium, so they're super lightweight, and honestly if you look at them you just can't beat how cool these things look. I mean they have that rainbow look to them, they're super thin low-profile and what I like is that they're 2.4 inches wide. The teeth on these things are just really sharp and for me they give a lot of good grip, a lot of great traction. Now a lot of people look at these Pro Pegs and the first thing they look at is the price tag, and yeah they are expensive and I'll completely agree with that. I've tried a lot of different foot pegs that are oversized, and a lot of guys ask the question, well is it worth the investment to spend that much money on a foot peg? For me after riding with them for a couple months, I can say that I've been really happy with them and really impressed with how much grip I have. One thing I've noticed too is that the teeth haven't really worn out or they haven't dulled. That's something that I've noticed happen with a lot of other pegs, is that people start to round off. These haven't done that with all the hours that I've put on the bike. So if you ask yourself is it worth the investment, for me, if you have the money and you want to get a really good set of oversized foot pegs I would definitely put these on the list because like I said the look the weight savings and also with just how much grip I get on my feet I think these are an awesome investment to have on your bike. Keep in mind this is just five of the best dirt bike foot pegs out of the many that are offered. So if you ride with a set of foot pegs that you don't see on this list, I would love to hear your thoughts about it so please comment below and let us know what you liked about them and what you don't like about them. That's going to help other riders out and same goes for you riders out there that have one of the foot pegs in my list, leave a comment let us know what you like and don't like so much about it.